The maritime community faces a mul- preparedness guide on threat and haz- was recognized as an area deserving of earthquakes. Guard, and the Environmental Protec- are established, along with the resource during emergencies, the dissemination of one for which the contingency plan was tion Agency (EPA), require a variety of requirements appropriate to provide the best practices, and development of clear developed. 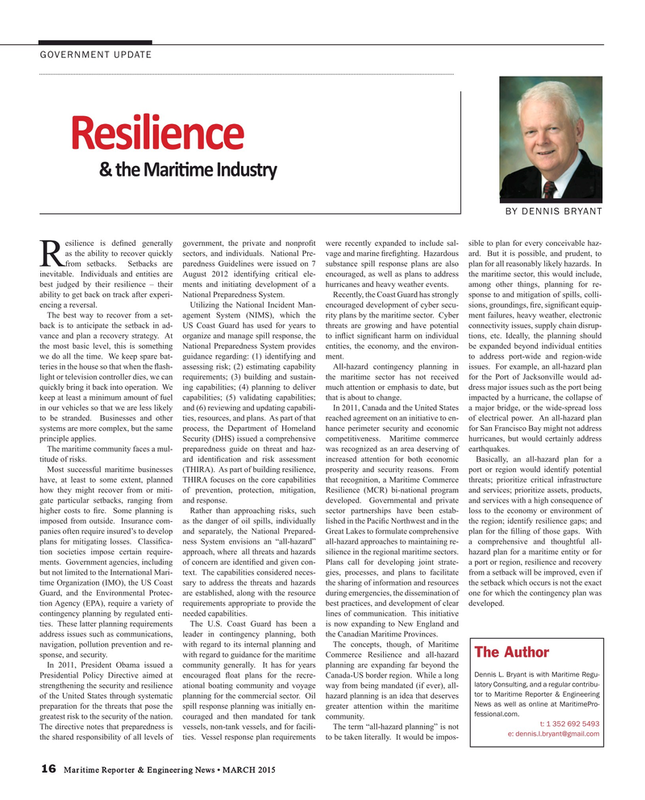 News as well as online at MaritimePro- preparation for the threats that pose the spill response planning was initially en- greater attention within the maritime fessional.com. greatest risk to the security of the nation. couraged and then mandated for tank community.